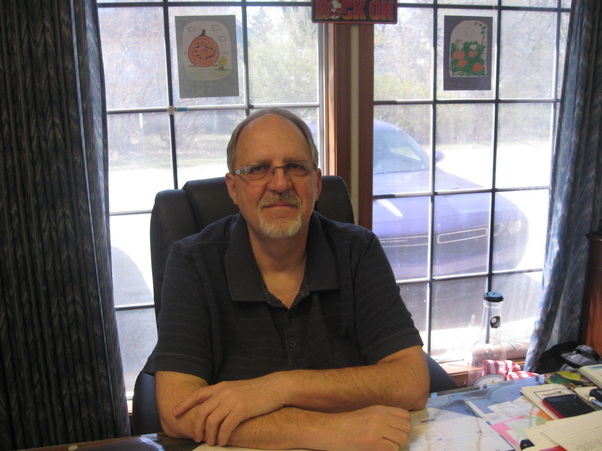 Mike started at Truman Lake Manor in the Spring of 1984 as a CNA on the night shift. In 1991 he attended LPN school in Warrensburg, Missouri. He worked for several years as an LPN before taking on the MDS Care Plan Coordinator position. In 2001 Mike obtained his NHA license through the encouragement of former administrator Anna Keeling. When Anna retired in February of 2002 he became the full-time administrator of Truman Lake Manor. Mike is married with 3 children, 3 grandchildren, and 1 daughter-in-law. Mike enjoys spending his free time with his dog Zoe, going to sporting events, and being outdoors. He also has a very extensive Snoopy collection. Shirley was born and raised in St. Clair County and has lived in Lowry City for the past 42 years. She has been the bookkeeper for Truman Lake Manor since 1995. Dr. Wayne Morton, owner of Truman Lake Manor, has been her family doctor for over 40 years and a close family friend. Shirley and her husband have 4 great children that have blessed them with 10 grandchildren. Shirley is active in keeping the flowers beds healthy and decorating TLM for holidays and upcoming events. In her free time she likes to work with her 2 horses and play with her 2 dogs. Shawn has resided in St. Clair County his entire life attending school in the Appleton City and Lakeland school districts graduating in 1989. He has worked for Truman Lake Manor for 16 years in numerous departments and is currently the head of maintenance and the housekeeping supervisor. He is responsible for patient transport as well. Shawn is married to Cindy Casey. They have been married for 18 years. Shawn and Cindy have 7 children (5 from their marriage and 2 adopted). Shawn is very active with his family. Brenda moved to St. Clair County in 2000 when her husband, Sean Langston was transferred here through his job with the phone company. She started at Truman Lake Manor in February of 2013 and has received her SSD certification. She has 3 children: Sean Jr., Meghan, and Samuel plus a daughter-in-law, Chrissy. In her free time Brenda and her family are very active in Boy Scouts Troop 437 and are members of the Church of Christ in Clinton, Missouri..
Mary has been a life long resident of St. Clair County and graduated from Lakeland High School in 1982. She has been with Truman Lake Manor since 1984 starting in the laundry department and cutting hair for the residents. Currently she is the head of Medical Records and Central Supply. She married Mike Harris in November of 1985. Mary has 3 children (Timmy, Brandon, and Carrie), one daughter-in-law (Sabrina), and 3 grandchildren (Natalie, Indy, and Cooper). Tina started working at Truman Lake Manor in August of 2011 as a charge nurse and was promoted to MDS Coordinator in July of 2014. She started her career in nursing as a CNA/CMT in 1998. Tina grew up in Deepwater, MO. She attended Lakeland High School and then later continued her education at Clinton Tech where she obtained her LPN in 2010. Tina is married to Brent Shoemaker. Together they have 3 daughters: Gabrielle, Mackenzy, and Cierra. In her spare time Tina and her family enjoy riding atv's, playing softball, and watching all of the children's activities.